Hey, everyone! Roree here with another Make It! Monday project. 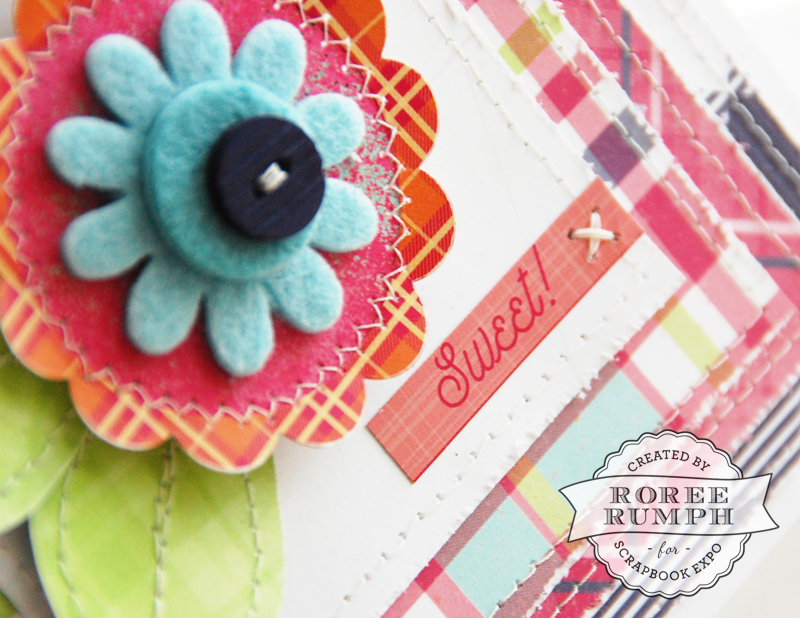 Today I am sharing how I created a card using my PenBlade craft knife as a distressing tool. 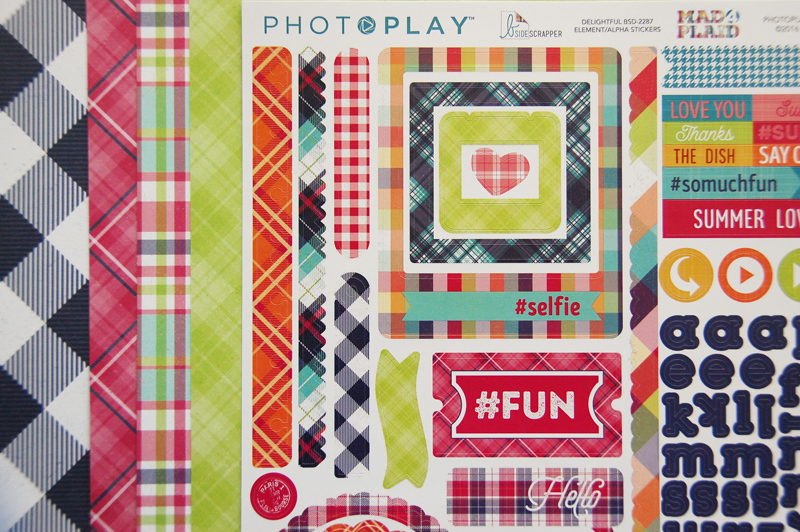 I started with some patterned paper and stickers from the Mad4Plaid collection from Photo Play Paper. 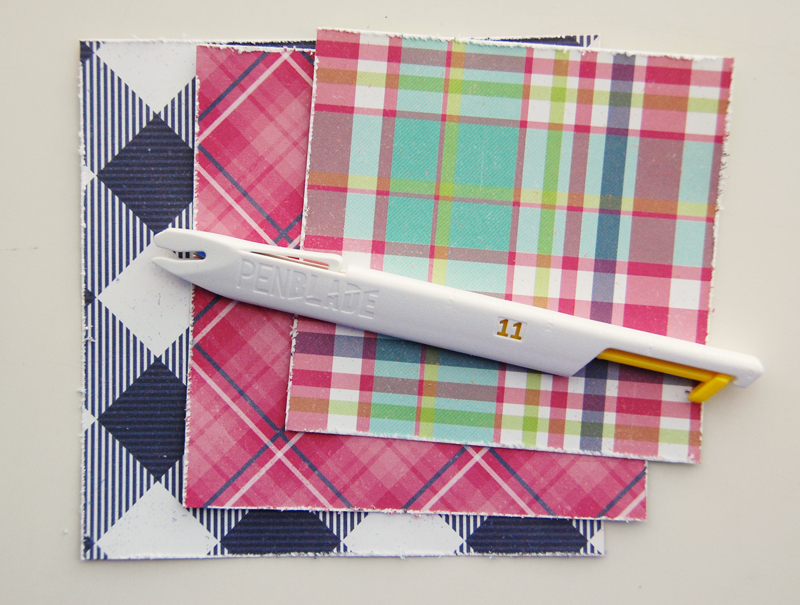 I cut out some square panels from the Lennox and Madras patterned papers, and I distressed the edges by running them through the thread cutting groove on my PenBlade craft knife. 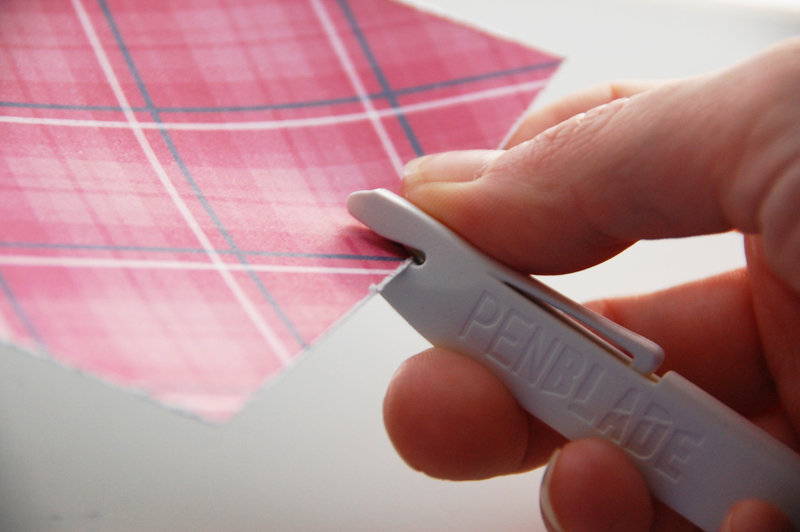 This is a great feature because you can use the knife to distress without the blade being exposed. I machine stitched around each panel, then layered and adhered the panels together. 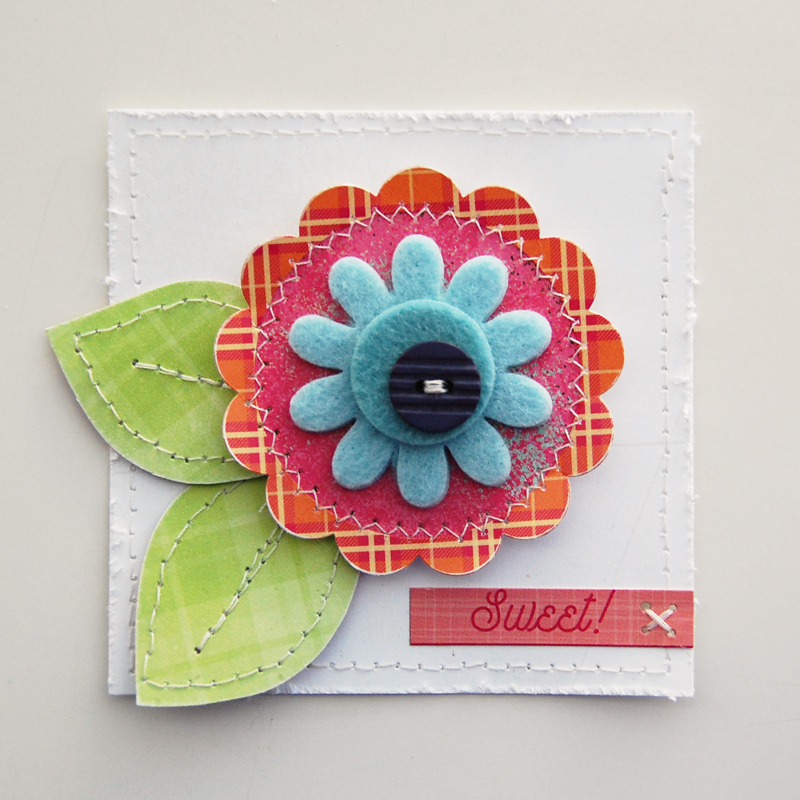 I created another square panel from white cardstock, distressed and stitched the edges, and topped it with a flower I created from patterned paper, cardstock, stickers from the Mad4Plaid Delightful sticker sheet, machine stitching, a felt flower sticker, and a button. I adhered the decorated panel to the center of the layered panels and adhered the completed panel to the front of a square card to finish. This entry was posted in Card Making, General Crafts, How To, Make It Monday, Manufacturers, Paper Crafts, Tips, Techniques & Helpful Hints, Tools, Tutorial and tagged Button, craft knife, Distressing, Felt Flowers, machine stitching, mad4plaid, Patterned Paper, penblade, photo play paper, Photoplay, Roree Rumph, stickers. 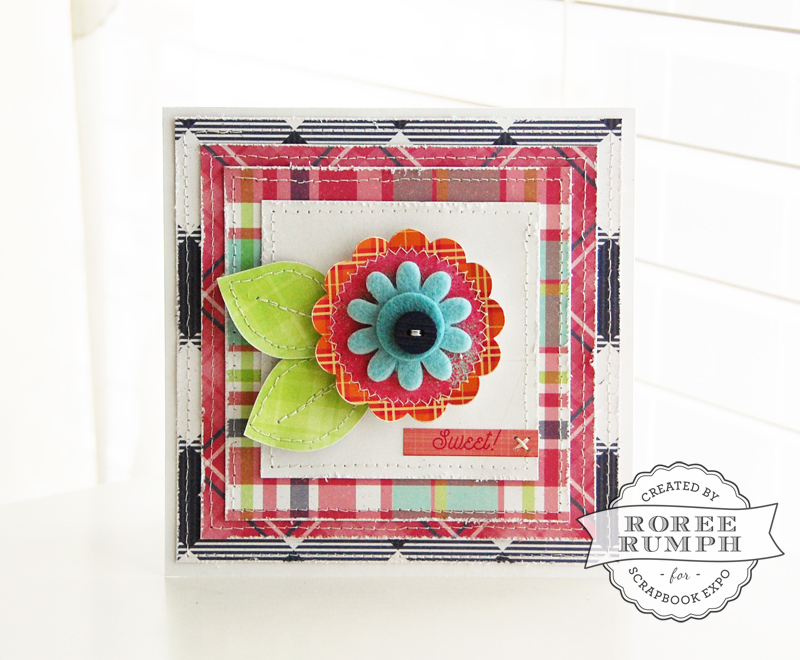 Your use of color using plaid craft paper is beautiful! 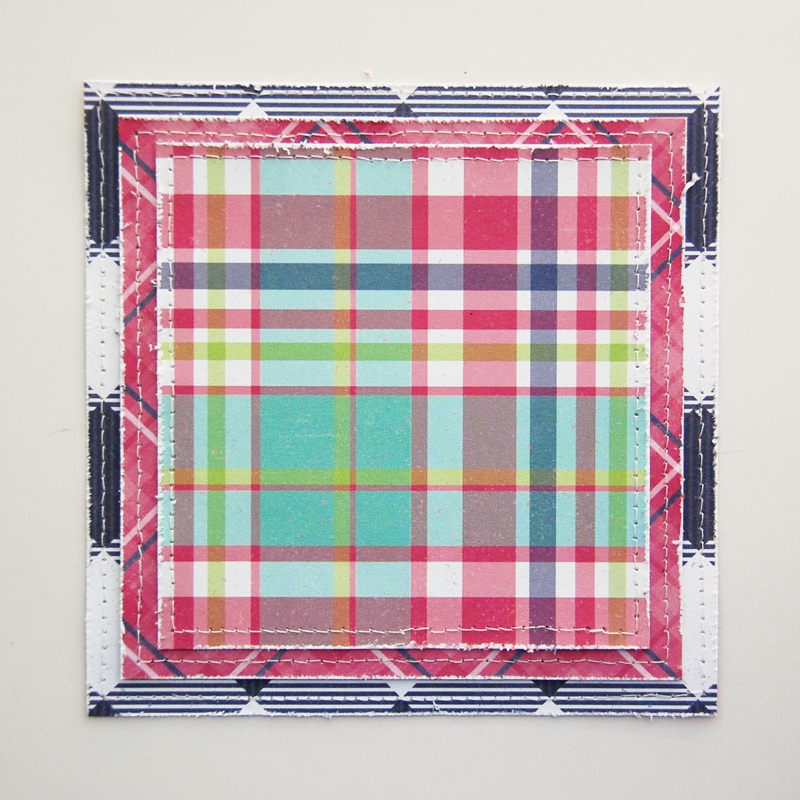 I love plaids!